I've got so much to be happy about this week, but rather than talk about it I'll just share pictures with some basic explanation. Not pictured is the second job that hubby has managed to create for himself (and me too if he needs a second set of hands) by getting his electrical contractors license - great timing for some extra income! I'm thankful and happy that I'm married to a man who is not afraid of hard work. If you want to see what other people found to be happy about, make sure you head on over to The Happiness Project at Leigh vs. Laundry. Thanks for hosting, Leigh! 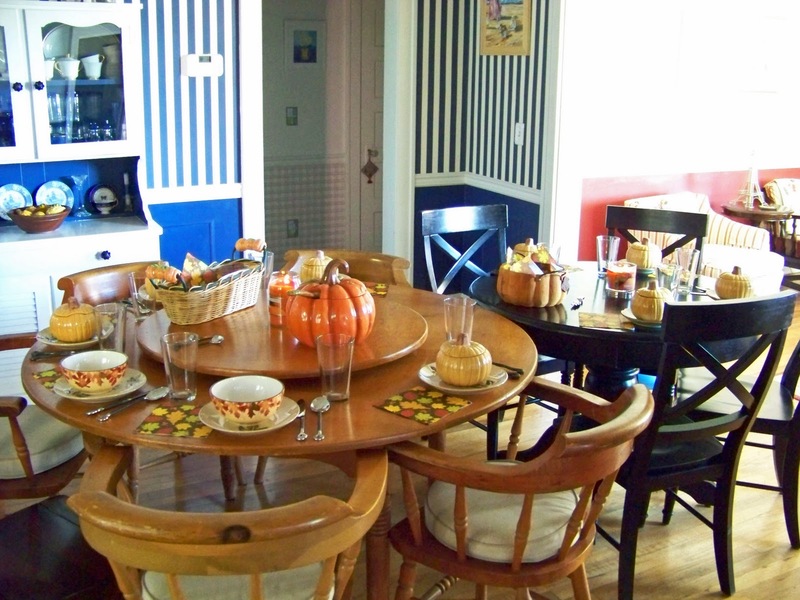 Having people over and getting to use my cute fall dishes! My iRobot Scooba brings a smile to my face! 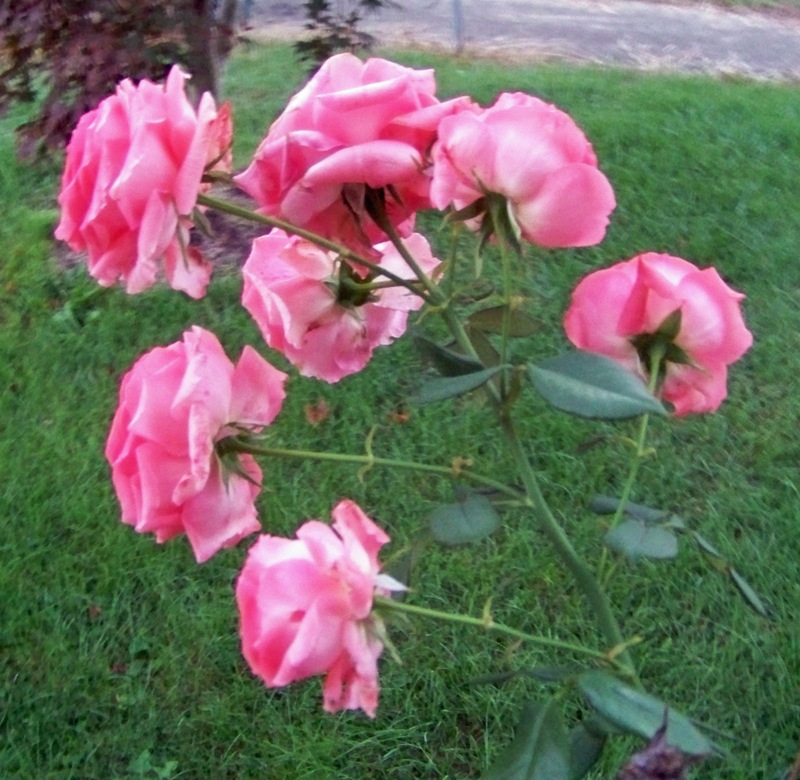 Walking out to find seven roses in full bloom on October 12th! I love fall and my pumpkins, but how could these not make me happy?! I would love that iRobot too. those dishes are adorable. 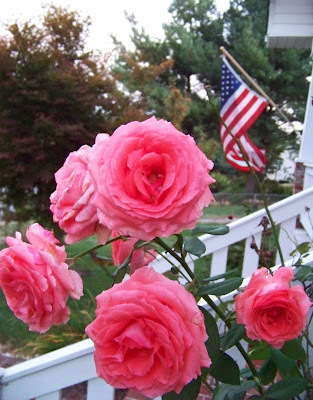 Those roses are beautiful and rare for October. Enjoy them. I love all the things you have said and they too would make me VERY happy. The robot hoover is genius! Firt I love your table with a lazy susan in the middle! I would love to have that!!! 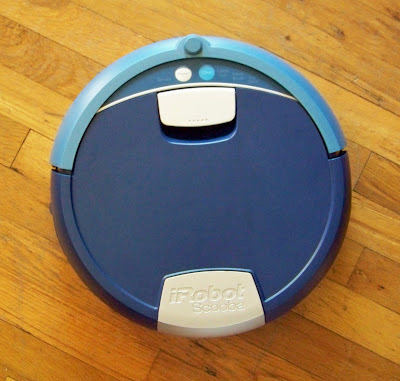 I would also love to have an irobot! I am so jealous of you right now especially with the roses. Yay for jobs and great pictures! I've always wondered if those iRobots work. Love the table settings! Flowers are sooo pretty....love a job! My hubby is a hard working guy to and I love him even more for it. Roses in bloom in October ? Wow! Fall dishes are fun, but it is hard to compete with those roses. Does that iRobot really work? I've always wondered about those things. I love decorating for fall..It's my favorite time of year. Your tables looks awesome. Does the irobot really work? Your tables look so warm and inviting. I'm sure that your guests felt so special. Yay for the happiness project!!! Such a cool thing. And yay for husbands who work hard. And another one for finding happiness in small things! Wow! Thanks for sharing some of God's beautiful creations! Carrie, the table brings back fond memories of my birthday last year at your house! Thanks for all you do! Love you guys!